Searchers hoping to find the lost vessels of Sir John Franklin's 1845 expedition are looking at two vastly different sources to guide their quest. 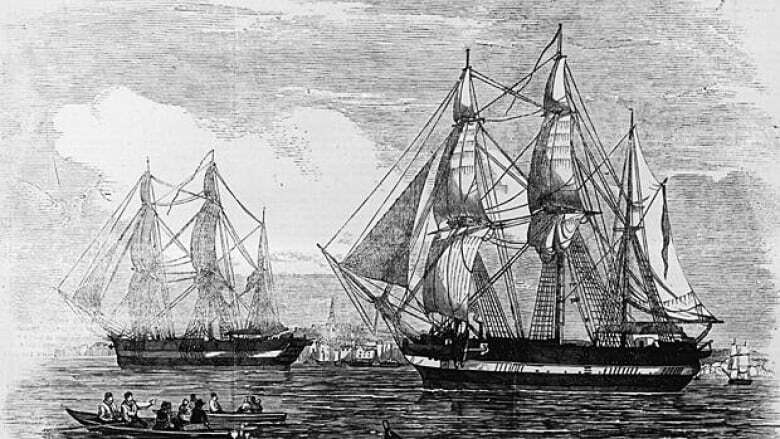 There are few clues in the great mystery surrounding what happened to Sir John Franklin's ships in the 1840s, in the frigid waters of the Canadian Arctic. But searchers hoping to find the 19th-century British vessels this summer are looking at two vastly different sources to guide their quest: oral histories told years ago by the Inuit, and hints that can be read in today's satellite photos about how sea ice forms and shifts around. Sometimes the clues from the two sources line up. Sometimes they don't. But searchers agree they are the best guide so far in the drive to find HMS Erebus and HMS Terror in the Arctic waters off the coast of Nunavut. 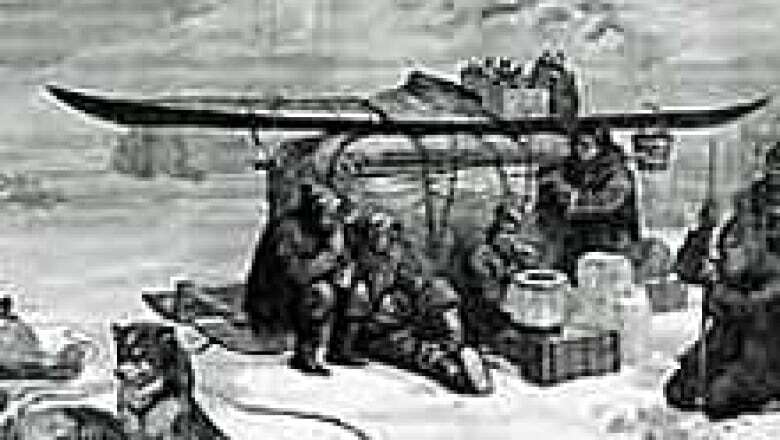 According to Inuit testimony, recorded by search parties after the ships were beset in ice in 1846 and deserted by their crews off King William Island two years later, one ship sank in deep water somewhere west of the island. The other went further south, perhaps as far as the Queen Maud Gulf and maybe into Wilmot and Crampton Bay. Ryan Harris, a marine archeologist with Parks Canada who has led remote-sensing operations in previous searches for the Franklin vessels, says the Inuit oral histories are critical in determining where to look for the remnants of that ill-fated quest to find the Northwest Passage. "If it weren't for the Inuit testimony, you'd be hard-pressed to figure out where to start looking." No one knows which ship might be the more northerly one. Or which took the southerly route. "We just know that one ended up farther north and one apparently farther south," says Harris. For the northern ship, the Inuit reports point to what Harris says is a "fairly large area" to search, hundreds and hundreds of square kilometres in size. 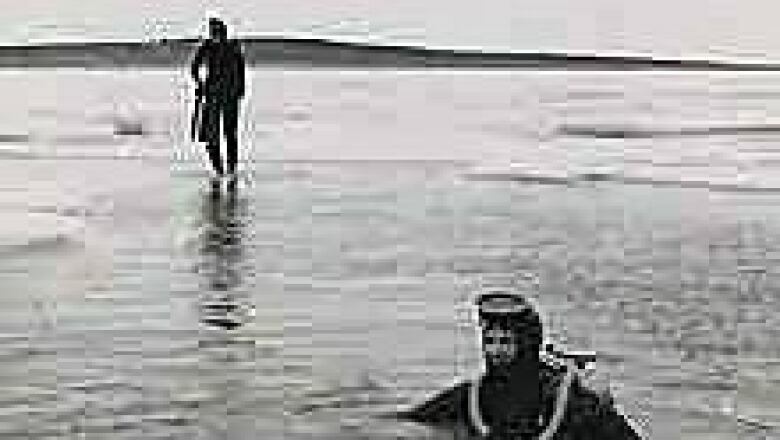 The Inuit stories of the second ship, which were gathered by search parties such as those led by Charles Francis Hall and Lt. Frederick Schwatka, a U.S. cavalry officer, provide current searchers with a few more elements to work with. The Inuit said they had access to that ship for a short time, "and they were able to recover a number of useful materials before it sank," says Harris. "When they came back to it after the breakup of ice one year, the masts were still visible." But that was an era long before GPS and satellite tracking, and homing in on an exact, 21st-century location from those decidedly less precise descriptions has proven very difficult. Indeed, who can say exactly where the ships may have ended up, given ocean currents and the way the wrecks might have been pushed around by the ice that formed every winter. That is where the ice studies come in to play. Tom Zagon, a research scientist with the Canadian Ice Service, approached Parks Canada a couple of years ago suggesting the use of historical information about ice formation to try to focus the Franklin search effort. "A lot of the evidence that's out there, it's sparse, it's vague, it's ambiguous and sometimes even contradictory," says Zagon. "So the idea was to use ice information, and it's only recently that we really have enough of a satellite record, enough of an archive, to be able to do this." 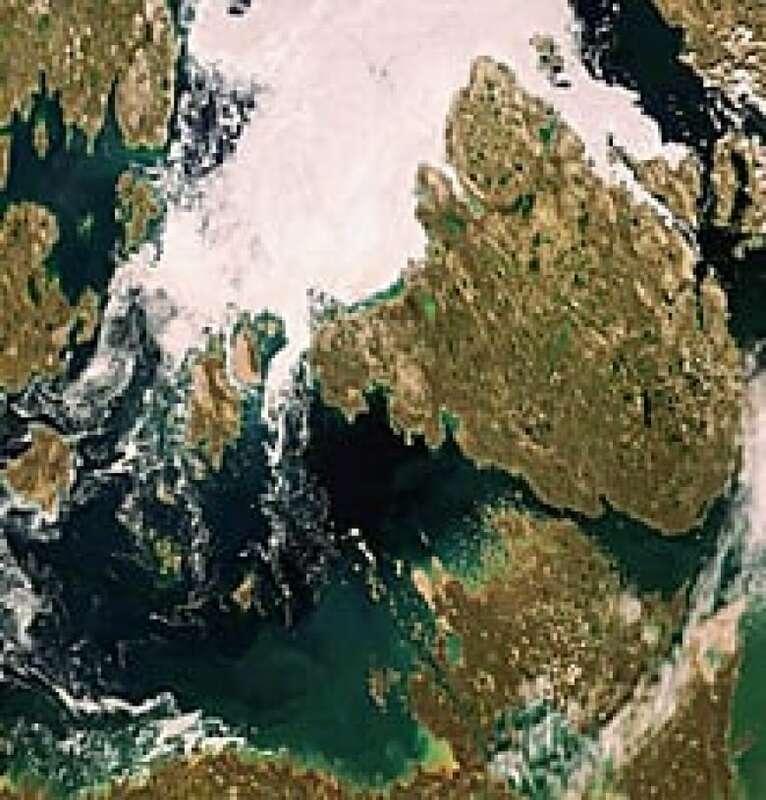 For this year's search, Zagon looked at satellite images to identify trends in ice formation and movement to try to help determine where the ships might have ended up. For example, from some of the historical evidence, there's a suggestion that one vessel sank north of the Royal Geographical Society Islands. "That's a very large area," says Zagon. "But if you look at the ice information, you can see that certain areas exhibit very high ice pressure, the kind of ice pressure that sinks vessels. "Well, these areas then become the focus for the search and the other areas take a back seat. Thery're still large areas, but they're much, much smaller than what one was dealing with previously." The Inuit oral histories also make references to types of ice, something Zagon says can be helpful in today's context with the search for the vessels. "For example, they say they are walking on smooth ice. Well, those areas of smooth ice form in the same areas every year and you can map these out, same with areas of rough ice." However, even if the searches are focused on the right areas, there is still the question of whether the wrecks are still intact, a century and a half after they went down. The discovery of HMS Investigator off Banks Island in Mercy Bay two years ago showed an Arctic wreck can be well-preserved. But Parks Canada's Harris says the ultimate fate of Erebus and Terror depends on many factors. In the southern search area, survey work done in previous years shows a fairly firm ocean bottom with lots of gravel and glacial effects on the underwater topography, but no scours or big wedges carved in the floor by ice. "Even though it's not terribly deep, it's only 20, 30 sometimes upwards of 50 metres in the areas we've been looking, the ice doesn't seem to be getting down that deep and significantly affecting the seafloor," says Harris. "So a wreck in that area would probably stand to be very well preserved, perhaps perfectly intact like the wreck of Investigator." In the northern search area, it's a different story, though. Multibeam sonar scans have shown that ice has made deep gouges in the seafloor. "It's carving these deep furrows in the mud and some of these furrows are upwards of 60 or 80 metres wide and they just snake all over the bottom," says Harris. "So if one of the vessels had sunk and was in the path of one of these ice drags, then it would certainly stand to have been obliterated because these are sort of immovable forces in many ways." Still, no one knows how old those scours are — maybe they've been there for centuries — so their existence isn't enough to dash all hope of finding Erebus or Terror in that area. Harris says the nature of the vessels — that they were modified for Arctic service, and reinforced to withstand ice pressures – could also stand them in good stead for preservation. Harris won't venture any odds on whether the search team will be successful this year. "I'll never wade into that kind of discussion," he says. "There are too many variables. "We're making a certain number of inferences, we're weighing different sources of testimony that don't agree, we're picking and choosing what makes the most sense to us. "Ultimately over the next three years, I think we stand a very good chance of surveying the areas we think are a priority for where we think these two vessels are most likely to be found."